Photography brochure is a marketing tool that helps photographers promote their photography services and gather potential clients. To develop your photography or photo editing business, in any case, you need advertising. There are different types where photography brochures are an excellent opportunity to advertise your services, show your works, and increase the number of your customers. You have to create the competition in the photographic market. Lack photography brochure ideas? Therefore, FixThePhoto 25 free photography brochure templates will be a powerful tool for you to bring your business to a new level, especially if you are amateur photographer. №1 "Cute Baby Photography Brochure Template"
The first brochure layout is a variant with a natural, attractive design and beautiful, unique inscriptions and soft colors. Photo brochure: Baby photography template. №2 "Modern Child Photography Brochure Template"
If you are looking for something out of the box beyond the understandable traditional photography brochures, go for this modern template sample. Forget boring, generic photography brochures and use this brilliant one! The sweet color combination suits child photography perfectly. №3 "Sweet Child Photography Brochure Template"
This template is suitable for those photographers who want their photography brochures to have a simple, but at the same time, a pleasant look. On this sample, you can see how well the white background matches the pink front. This combination gives a kind of lightness and harmony. The information about the services is completely available to the reader. №4 "Clean Layout Family Photography Brochure Template"
This template is ideal for creating a simple and attractive cover for a detailed brochure. This free photography brochure PSD file has a lot of space, which makes it possible to place all the necessary information about your services, and at the same time, the brochure looks very stylish and attractive. It has a straightforward design, with all necessary information available for the reader. №5 "Bold Family Photography Brochure Template"
If you want your photography brochure content to stand out, then use this brochure type. Bright pastel colors will make readers pay attention to it. Don’t be like everyone else, using the classic color palette. Perhapsб this particular sample will be able to attract new customers and bring your business to a new level. №6 "Classy Headshots Photography Brochure Template"
Get right down to business with this simple and chic brochure layout that has a straightforward, soft design. It’s perfect if you want to keep it everything understandable and professional. No distracting details or bold colors – the timeless classic photography brochure templates! №7 "Minimalistic Lifestyle Photography Brochure Template"
Want glossy, impressive photography brochure templates? Then this template ideal is for you. It combines minimalism and modern, unique design. Such an advertisement will not only attract the attention of the readers but also pleasantly surprised them with the elements of gentle photography brochure design. This template proves that minimalism can create an equally impressive effect as well as the variant with the maximum amount of details. №8 "Lovely Maternity Photography Brochure Template"
This brochure layout shows you how to highlight photos correctly, using a black background and the appropriate elements arrangement. The minimum number of colors is used in this brochure. Thanks to the large red font, you can highlight your contact information, prices for services, promotions and other necessary information. №9 "Delicate newborn and baby photography brochure template"
This is an example of adorable children's free photography brochure templates for your photography business. The white background is perfectly combined with the turquoise color. There is also a separate place for the contact information. Large images will undoubtedly attract the attention of the reader, and a small amount of text will not distract the attention. If anybody gets such a photography brochure PSD, he/she will definitely read it. №10 "Colorful Newborn Photography Brochure Template"
In this case, the gray background of the template makes the brochure interesting, and it attracts even more attention. Therefore, if you want an appealing photography brochure design with a successful arrangement of photographs, then this brochure is for you. The information is very simply and laconically submitted so that it will be convenient for the reader. The beautiful font makes the brochure original and attractive. №11 "Stylish Portraiture Photography Brochure Template"
If you to intrigue the reader, you’d better opt for this brochure type. The photography brochure PDF has an original square form, which gives it a unique look. The creative bright design makes the reader concentrate on the text and finish reading all the information. This elegant, stylish brochure will emphasize your professionalism and bring you new customers and boost your business. 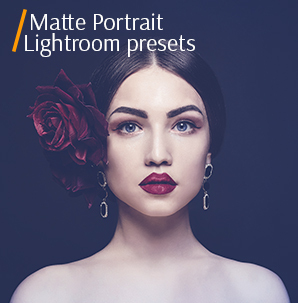 №12 "Trendy Portraiture Photography Brochure Template"
Thanks to this photography brochure design free, you can demonstrate the reader more quality photos and show your professional skills. The modern fashionable brochure can be perfect for a large number of photos. Different original fonts will attract the reader's attention to the most important data. №13 "Artistic Portraiture Photography Brochure Template"
The success and the “influence” of the brochure depend greatly on the title page, so this particular sample will be able to attract the attention of the most wayward readers. The cover shows your best photographs in a very original way. The white color is dominant on this brochure layout, which creates some peaceful mood. Exciting font harmoniously blends with the background. №14 "Eye-catching Senior Photography Brochure Template"
The combination of a pink color and the original font is really very beneficial. It is designed for vivid, emotional photos. Photography brochure content especially the text is clearly seen to the reader. The graphics only complements the general view of the brochure. It has a very stylish look. This is really something that can surprise your client. №15 "Professional Senior Photography Brochure Template"
This template is the perfect combination of minimalism and modern design. It is created for those who love simplicity. Here, contact information, the price for services and stylish photos are clearly visible. The sample is not cluttered with unnecessary information, so the reader will not get tired of meaningless text. Choose this free photography brochure PSD if you want to emphasize the quality and style of your photos. №16 "Casual & Fun Wedding Photography Brochure Template"
If you do not want your brochure to have a flashy look, and if you prefer minimalism and do not like many details, then this wedding photography brochure PDF is the best option for you. 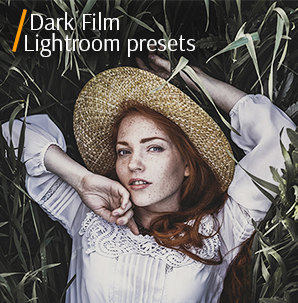 An elegant, simple design with a minimal amount of colors will help to highlight your photos. Do not forget to indicate the services that you offer, and also your contacts, prices, and possible discounts. The reader will like this brochure, as he/she won’t get tired of the excess information. №17 "Vibrant Wedding Photography Brochure Template"
This wedding photography brochure template is an excellent option for creating a fun brochure. 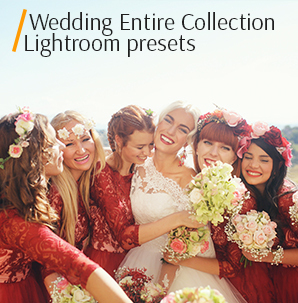 A bright color palette helps to emphasize the quality of wedding photographs. Three popular parts of the brochure provide an opportunity to give a qualitative description of your services, prices, and packages. That gives a chance to answer frequently asked questions. The brochure makes it possible to place not only a lot of information but also many quality shots. №18 "Dreamy Wedding Photography Brochure Template"
If you want to attract new clients and evoke their interest, then you should stop on this brochure layout. A bright, stunning modern design and stylish colors are best combined with each other. This wedding brochure is an opportunity to demonstrate your professionalism and creativity. Many customers are interested in creative, extraordinary photographers. №19 "Effortless Wedding Photography Brochure Template"
What could be better than a merely elegant pattern in a minimalist style? This sample has proven it. An easy modern wedding photography brochure with a minimum of text, but well-marked photos is the best choice for both a beginner wedding photographer and a professional. №20 "Crips & Clean Wedding Photography Brochure Template"
This is another version of the minimalistic wedding photography brochures. If you think that the simple design will be more understandable to the reader and your future customers, so select this sample for your photographic brochures. Focus on details and indicate your primary services, prices, and also contact information. №21 "Sophisticated Wedding Photography Brochure Template"
This brochure is suitable for classic wedding photographs. Elegant refined design will make readers not only pay attention to this brochure but also read it to the end. Harmonious colors create a romantic atmosphere that will positively influence the decision of your new client. Photography brochure PSD free download is a very convenient option indeed! №22 "Elegant Wedding Photography Brochure Template"
This is wedding photography brochure is incredibly beautiful in its black and white colors and shades of green. Bright, attractive photography brochure design and detailed information about your work will appeal to readers. №23 "Sweet Wedding Photography Brochure Template"
Here you can place a large number of your best wedding shots. Moreover, you can describe in detail photo sessions, packages, and prices for them. Original font and unusual boxes in the design of the wedding photography brochure only emphasize your personality and uniqueness. №24 "Soft & Creamy Baby Photography Brochure Template"
This brochure layout is one of the best options for children's brochures. Bright hearts make you smile. This photography brochure PDF is very sweet and gentle. There is enough space for describing the details of the photo session and the cost of your services. №25 "Extraordinary Photography Brochure Template"
If you want to create a vivid impression like a creative professional photographer, then this template will help you to realize your bravest plans. Bright watercolor tones are smoothly selected. Here, colors are harmoniously combined. Brochure layout is suitable for a beginner photographer. Place your brightest pictures, and you will be able to attract many new clients. Why Do You Need Photography Brochures? Brochures are simple. There is all the necessary information about the services offered by the photographer in photographic brochures. Usually, it contains all the answers to popular questions, which are often asked by potential customers. Photographic brochures look better than in Instagram or Facebook. It should include necessary information, which is presented in an interesting, or even, amusing way. Printed advertising is always better for perception than online ads. The brochure is readable. Even if you are not interested in photography at the moment when you are handed a brochure, it is designed in such a way that you cannot overcome the temptation to open it. Therefore, photographic brochures should be attractive and intriguing. Photographic brochures are easy to distribute. For a photographer, the brochure is the best and the fastest way to find new customers. At any event, at the concert or at a party, trade, exhibitions, lecture, creative photography brochure ideas can make a positive impulse in the development of your client base. Interconnection. Photographic brochures are an opportunity to acquaint the client with your professional work. Photographic brochures contain information about you, email, social networks, telephone, address. This will enable the client to contact you to discuss the details of the work, in contrast to social networks, where information is often lost, hidden or fake. Photographic brochures are real catalogs that you can hold in your hands. Many people perceive reality and the world tactile, so the brochure wins from this point of view. It creates a sense of reality and gives more confidence to your future customers about your work. Creating photographic brochures is a very challenging job that requires special attention to Photoshop techniques, and photographic taste. Photographic brochures should attract the attention of the people within just a few seconds; otherwise, they go to the garbage can. The brochure should carry an intrigue to interest the reader. You may need a lot of time and energy to choose and create a photography brochure design. Therefore, to save your time, we offer you ready-made photography brochures templates free. They will help your brochures become interesting and appealing to the potential customers begging with the cover. These are unique photography brochures samples that will make your wedding, portrait, product, event, newborn, baby and family photographic brochures ideal for completely different people. This is the best set of free photography brochure PSD. There are templates for children's photos, fashion photos and also wedding photography brochure templates free. Save your time and choose those free samples that you like most of all. Be confident, and you will have many new customers.